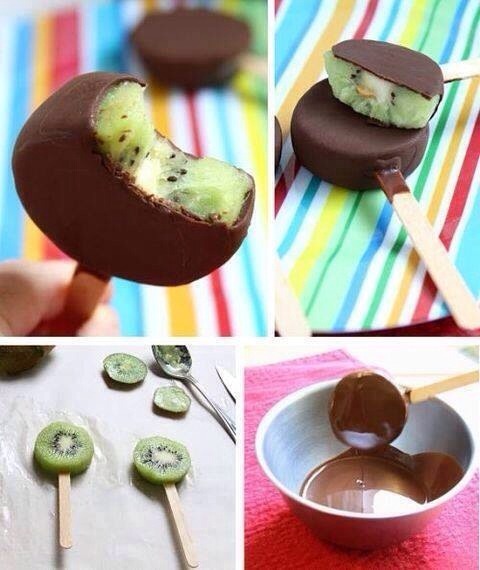 Try Kiwi With Chocolate! It's Like Popsicles (you Need To Freeze Them). It's Really Good!